TPR75 wrote: .... Can't download 2.53 32-bit right now because WG9s just removed all of it (probably uploading newer build). Last edited by ElTxolo on March 9th, 2019, 4:16 pm, edited 1 time in total. OK. I managed to take screenshot of entire website. Both on new "clean" profiles. 2) click on "Inspect Element"
4) in section "Available Toolbox Buttons" (scroll down if you must) mark/enable "Take a screenshot of entire page"
5) click "Close Developer Tools"
7) click on it and screenshot will be taken and saved as PNG file in your default download location. How can you use such disgusting/distorted fonts as those seen in your screenshots? 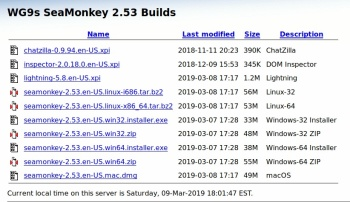 He was uploading newer version for Linux at that moment (Last modified 2019-03-09) so I could see empty folder only. ... under Linux Mint 19 (using VirtualBox 6.0.4). The same behavior like under Windows. 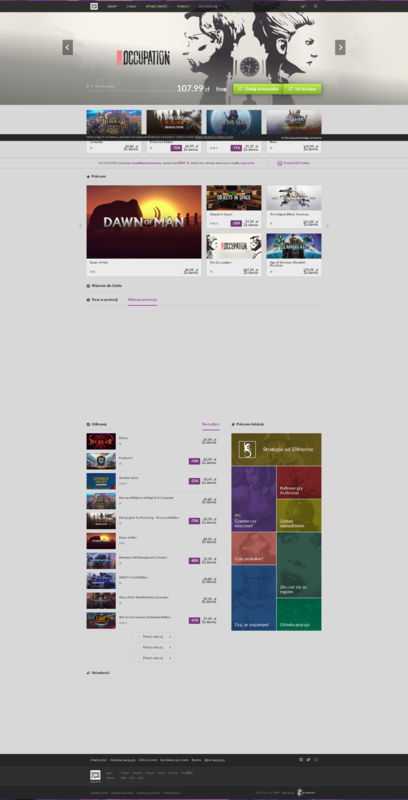 ... displays correct main page of GOG.com website. Under openSUSE Leap 15 (in VirtualBox 6.0.4) the same situation. (click "Replies" and scroll down to post of user Yaugenka). I prefer sharper fonts even if they are a little bit "crenate". Windows XP had better ClearType. As you can see above Linux is using different engine to display fonts. ... and again SM 2.49.x has problem while 2.53 (Fx 60.x or newer) displays it correct. Well, at least under Windows and Linux Mint 19. When tested openSUSE Leap 15 didn't played video in both SeaMonkey versions. Even not in Firefox 65.0.1 (some MIME Type error). But this particular VM can be corrupted. I'll test Tumbleweed version next time. Bob Fam1 wrote: Here's a link to the embedded video. 5) Chromium 72 under Linux Mint (plays correct "kangaroo video"). They all play it on YT website. Looks like it's not about browser but rather some permissions, cookies, login at website (both, including YT). I don't know but in your case I will not blame SeaMonkey. Oh, that. Same thing in Pale Moon, GOG website troubles. Gog site is broken in 2.49, yes. Joe video is broken in 2.49, yes. Good thing I didn't say "everywhere" . Anyhow, the OP's site does not work in 2.49 or 2.53 or FF 65 or PM 2.84 or Waterfox 56. LOL. That's trumps new defense initiative. If something comes falling out of the sky, trained roo's will come attack it. therube wrote: LOL. That's trumps new defense initiative. If something comes falling out of the sky, trained roo's will come attack it.